Prof Rajabifard's presentation focused on two key questions: what does the term “spatial enablement” mean? and, how is something “spatially enabled”? 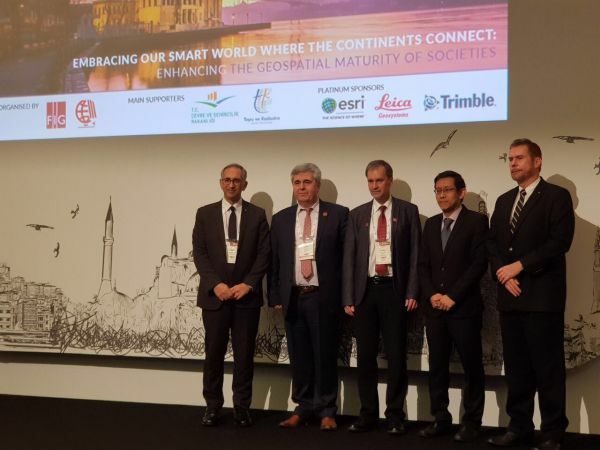 Building from a deep understanding of spatial data infrastructures (SDIs), his presentation discussed the current trends in spatial enablement and the opportunities it creates for society. Prof Rajabifard highlighted the key relationships between Spatially Enabled Societies and the UN Sustainable Development Goals (SDGs) to better serve all levels of society and build smart communities. In addition, he described the fundamental role of spatial data analytics to support sustainable future cities as part of the SDGs' agenda. 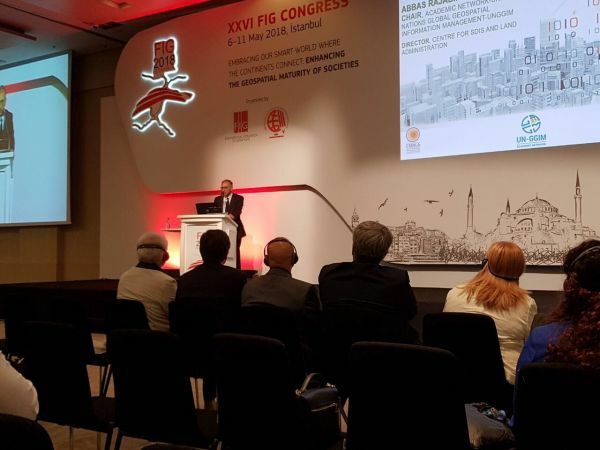 Prof Rajabifard also presented CSDILA's peer-reviewed paper titled A New Method for Integrating 3D Spatial Information about Vertically Stratified Ownership Properties into the Property Map Base in FIG Congress. The published version of the paper can be viewed here.